Monarch Air Group provides private air charter in Baltimore, MD. Our clients benefit from top-notch service, unrelenting dedication to safety, wide selection of aircraft, and years of experience in chartering private jets. To obtain a free quote, please use our online quoting tool provided below, or call toll free 1-877-281-3051. 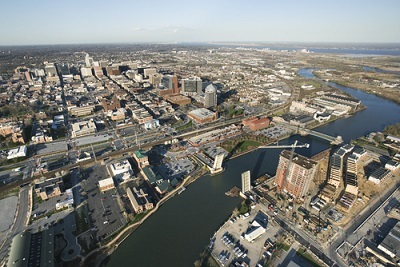 Monarch Air Group offers private jet charter services to and from Baltimore, MD, USA. The largest city in the United States, Baltimore, is the cultural center of the state Maryland. Often called “Charm City”, Baltimore is a dynamic and fast growing city filled with surprises and hidden treasures. The city has something to offer for everyone from fine dining, cultural experiences to vibrant nightlife. The most popular tourist attractions include the Baltimore’s Inner Harbor, Baltimore Maritime Museum, the Baltimore Museum of Art, the Edgar Allan Poe House, the Maryland Science Center, the Fort McHenry National Monument, the American Visionary Art Museum and much more. It is a home to world-famous Baltimore Seafood and its festivals and events such as Restaurant Week and the annual Preakness Stakes. Baltimore is a city on the water that welcomes visitors from all over the world to enjoy a vibrant life and learn about its history and influence on the American culture. 1. ADW, Andrews AFB, Camp Springs, United States. 2. ANP, Lee, Annapolis, United States. 3. APG, Phillips AAF, Aberdeen, United States. 4. BOF, Bolling AFB, Washington, Canada. 5. BWI, Baltimore/Washington International Thurgood Marshall Airport, Baltimore/Washington, United States. 6. BZS, Buzzards Pt S, Washington, United States. 7. CGE, Cambridge, Cambridge, United States. 8. CGS, College Park, College Park, United States. 9. CTH, Chestercounty Carlson, Coatesville, United States. 10. DAA, Davison AAF, Fort Belvoir, United States. 11. DCA, Reagan Washington National, Washington, DC, United States. 12. DOV, Dover AFB, Dover-Cheswold, United States. 13. EDG, Weide AAF, Edgewood, United States. 14. ESN, Easton, Easton, United States. 15. FDK, Frederick Municipal, Frederick, United States. 16. FME, Tipton AAF, Fort Meade, United States. 17. GAI, Montgomery County, Gaithersburg, United States. 18. GBO, Baltimore Greenbelt T, Baltimore, United States. 19. GTY, Gettysburg, Gettysburg, United States. 20. HAR, Capital City, Harrisburg, United States. 1. Rodeway Inn Mid Town, 723 Saint Paul Street, Baltimore. 2. Baltimore’s Tremonts, 222 Saint Paul Place, Baltimore. 3. The Biltmore Suites, 205 W Madison St, Baltimore. 5. Days Inn – Baltimore Inner Harbor Hotel, 100 Hopkins Pl, Baltimore. 6. Homewood Suites Baltimore, Md, 625 South President Street, Baltimore. 7. Rodeway Inn Mid Town, 723 Saint Paul Street, Baltimore. 8. Waterfront Hotel, 1710 Thames Street, Baltimore. 9. Sheraton Inner Harbor Hotel, 300 South Charles Street, Baltimore.